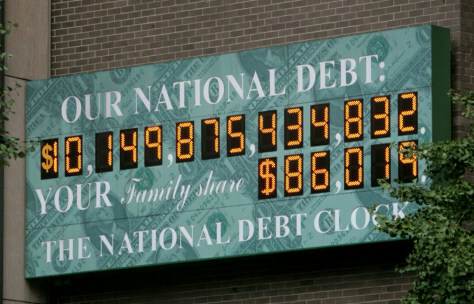 In a sign of the times, the National Debt Clock, shown on Oct. 9 in New York, has run out of digits. The "1" from has been moved left to the space once occupied solely by the digital dollar sign. A non-digital, improvised dollar sign has been pasted next to the "1."